Long before the web of highways and interstates had ensnared our country’s map like a giant net, rivers were the only lines dissecting its wild expanses. They run like a set of meandering veins from highland to sea level, carting rainfall and snowmelt off to the boundless reservoir of the ocean. Rivers have served humans for as long as we’ve been around to see them. They have inspired millennia of poets and artists with their elegance and ceaseless motion. Civilizations have lived and died on their bounties, relying on them for water, irrigation, and fish. They are frequently used to delineate borders between states and nations. Everyone from natives to colonizers used them as a reliable passageway into the rugged interior of our continent — when open, they provided a route for ships and boats, and when frozen, created a sort of hard-packed superhighway. And while the noisiness and sprawl of civilization may suggest that nature is an ever-receding entity, one need only visit one of America’s Wild and Scenic Rivers to be reminded of the timelessness of their existence. 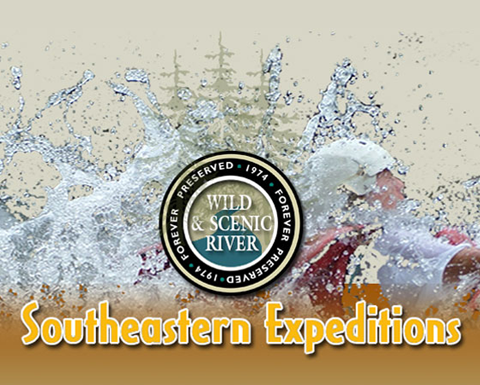 In this article we will look at some of the southeast’s Wild and Scenic Rivers, the conservation efforts working to keep them alive, and the recreation they offer those who visit them. Congress passed the National Wild and Scenic Rivers Act in 1968 to preserve and protect some of the nation’s most treasured, free-flowing waterways. The southeastern United States is home to several of these rivers, and they are on par with any in the world in terms of beauty, natural setting, and recreation. Let’s take a look at a few, from the Carolinas to Florida and on to Alabama. Picture yourself rafting down a river whose water is as clear as glass, where rocks shimmer beneath the surface and waterfalls tumble toward you on the left and right. The forest on one side is that of South Carolina, while on the other rests in the great state of Georgia. Pine trees, mountain laurel, and hardwoods tower above you, and up ahead, there is a dull roar as water froths at the mouth of a rapid. Bright green moss coats boulders like fluorescent shag carpeting, and vines and jagged cliffs line the banks. A fallen tree straddles it, suspended between its rocky walls thirty feet overhead. This is the mighty Chattooga, a Wild and Scenic River that is one of the nation’s most spectacular waterways. The river was awarded federal protection under the National Wild and Scenic Rivers Act in 1974, just six years after the passage of the act, and sports an impressive fifty-eight miles of designated river. 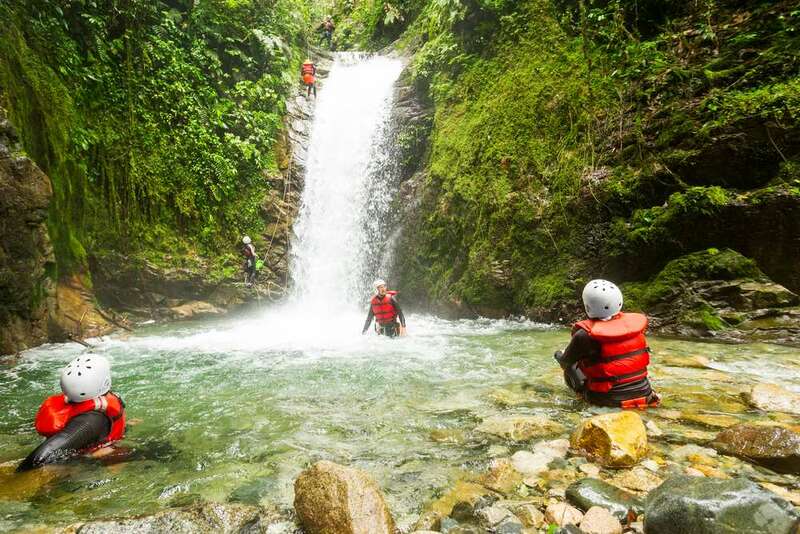 This river is the center of Southeastern Expeditions’ rafting adventures. It is known as the “crown jewel” of the southeast, and in 1972 made its Hollywood debut as the setting for the riveting, disturbing drama Deliverance. Despite the movie’s skillfully-executed suspense, the Chattooga shines through the plotline as one of the most gorgeous natural settings in American cinematic history. There is nothing quite like riding down natural rapids in the forests of northern Georgia. The Chattooga offers every type of challenge, from Class I to Class V, and you would be hard-pressed to find a more beautiful river to carry you through nature. One of the most famous rivers in the world for its isolation, dramatic gorges, and world-class whitewater rafting, the New River has carved a remarkably deep gorge through much of the southeastern Appalachian Mountains. It also sports a fairly serious misnomer — despite being called the New River, it is actually one of the oldest rivers on earth. The south fork of this river was named a Wild and Scenic River on April 13, 1976. This particular stretch winds lazily through northwestern North Carolina’s farmland, bucolic villages, and forest. But farther upstream, it offers some of the most intense whitewater rafting this side of the Mississippi — literally. The New River originated in West Virginia, where it flows southward through Virginia before ending up in North Carolina. The New River is rich in fish and plant life, and is a corridor for such life to travel through the otherwise rugged Appalachian Mountains. Unfortunately, it has also been the victim of much of Virginia’s toxic waste dumping, with several millions pounds of toxic waste dumped into it each year. Conservation groups have actively fought to keep it clean and to ensure its wildlife continues to thrive. Southeastern Florida’s Loxahatchee River takes a prize for a great name, but its true splendors are to be found while exploring it. The Seminole name means “river of turtles,” and when you float through its lively waters and tall cypress trees, you’ll see why. Turtles love to sunbathe on its many logs, as do alligators and other reptilian residents. The Loxahatchee River received Florida’s first-ever Wild and Scenic River designation in 1985, and since then, locals have worked hard to protect its special breed of old-growth floodplains. This river is important not only as a water source for the area, but also in its ability to absorb high tides and to protect local land from flooding. Kayaking and canoeing are favorite activities on the Loxahatchee, as its placid waters lend themselves to observation of the lively activity and towering canopy all around. Though this river has over sixty miles designated as Wild and Scenic, it is worth mentioning that this is less than 0.1% of all of Alabama’s waterways — it is a state with quite a bit of moving water. Sipsey Fork flows through the surrounding Sipsey Wilderness, a large swath of waterfalls, new- and old-growth forest, and spectacular vistas over the hilly countryside. This river achieved Wild and Scenic status in October of 1988, as its steep canyons and pristine natural settings fit the description of such a place. The rivers tend to exhibit a broad range of flow strength, as seasonal changes in rainfall create wildly differing conditions in the valleys. The Sipsey Wilderness is a wonderful story of conservation in the eastern United States, which has been settled far longer than the west and hence has struggled more with environmental protections. It was the first wilderness area to be designated as such anywhere east of the Mississippi, with federal funding beginning in 1975, and it doubtlessly served as an example to other states who wished to designate protected wilderness areas of their own. Many different conservation groups protect the Sipsey Fork and its surrounding ecosystem. The Sipsey River Swamp is one of the state’s most important wetlands, as it is home to numerous types of ducks, fish, mollusks, and plant life. Since the dawn of civilization, we have struggled with how to properly deal with our waste. The industrial revolution and the advent of chemical manufacturing has complicated the ordeal immensely, as have growing population, the spread of farming and large-scale agriculture, and extensive development in sensitive areas. Rivers have often borne the brunt of our environmental foibles. It is not hard to see why. Imagine having a growing pile of waste to somehow contend with, only to find that a river hauled it away for free like some sort of magical conveyor belt — it is a temptation that man has given into far too many times throughout history, resulting in the discharge of raw sewage, garbage, farm and road runoff, petrochemical waste, hazardous materials, and spills of all kinds into our rivers. Conversation groups have had surprising success in cleaning some of our country’s rivers. Because rivers provide economic, infrastructural, and environmental value to every citizen of the United States, it has been a priority to rid many of them of pollution. It stands that less than 0.25% of rivers in our country fall under protection of the National Wild and Scenic Rivers Act — in other words, only 12,709 miles are protected out of 2.9 million miles of rivers in total. That means that the bulk of conservation responsibility falls on us, the citizens, to uphold. One effective method of conservation has come through collaborative cleanup days, in which communities gather to remove debris, pollutants, and trash from rivers by hand. There is even a database of national river cleanups, in which you can find a river cleanup near you to participate in. Doing so will pay you back by helping not only the environment and its wildlife, but also every single person who drinks water — which, of course, is every single person. Dams are another source of harm to free-flowing rivers. A dam is any large structure built across a waterway to regulate its flow, and more often than not, they are used to produce electricity by having the current turn turbines in the dam. A dam can be incredibly destructive by flooding the upstream portion of the river, diminishing the downstream portion, and obstructing the passage of aquatic life that typically swims up the stream unimpeded. Many conservation efforts focus around preventing the construction of dams, as well as advocating to remove them. Similarly, the presence of industry and large developments can have catastrophic effects on a river’s health. Restrictive zoning, or the ability of a municipality to control what activities different pieces of its land are used for, also plays a large role in conservation. Citizens can lobby for land surrounding waterways to be free of certain types of manufacturing, development, and agricultural uses, which in turn can lead to that waterway escaping many sources of damage that have befallen others. Reclamation is another technique for restoring rivers. Through it, conservation groups will actively alter the course, surroundings, structures, flow, and other qualities of rivers in order to help them regain their original environmental health. Often, a rerouting will help prevent advanced degeneration of a section of river, as will creating barriers to manage its flow. These processes, while man-made, are demonstrated to improve the river’s health over time, often by emulating natural processes — laying logs across a stream to emulate a beaver dam, for instance. A discussion of rivers would not be complete without discussing their recreational value. They provide an avenue for activities ranging from meditative to adrenaline-pumping, and without them, many sports simply would not exist. First of all, there is their ability to calm us. Something about their wordless persistence inspires us — they churn their way through solid bedrock without complaint or hesitation, and though we may see only small sections of their length, we know that they continue well beyond us in either direction. We camp along their banks, jump off their rocks, explore their tributaries, and swim in their cool waters. Fishermen similarly depend on rivers for sport and sustenance. From the first light of dawn until the sun has set, they cast their lines into rivers to catch salmon, trout, and other fish who spawn and thrive in our inland waters. When pollution affects the sport of fishing, everyone from fishermen to restaurants to grocery stores can feel the impact. Kayaks and canoes provide an excellent means of exploring rivers. Armed only with the power of muscle, one can journey in silence and harmony with the natural surroundings. Kayaks and canoes were used by Native Americans to navigate North American waterways for thousands of years, and even today, their utility has not diminished. Then there is the sport of whitewater rafting. 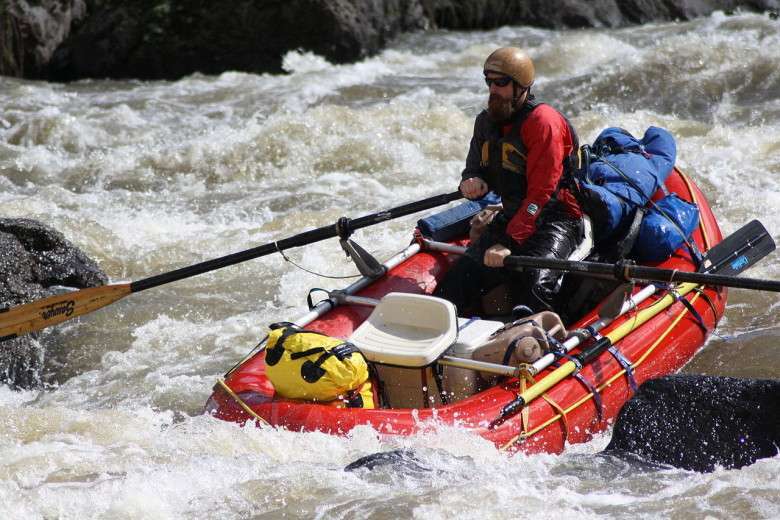 The southeast is uniquely suited to this sport, with plentiful gorges, rapids, and cascades to drop into and navigate. The Chattooga River, a Wild and Scenic River that forms the border between northern Georgia and South Carolina, is a particularly popular destination for whitewater activities. The value of river recreation goes beyond its fun, though. It is directly linked with conservation. To draw a parallel, consider how indigenous tribes living in the jungle are actually the best protection for Amazonian Rainforest — by living among it and having a vested interest in its well-being, they create a sort of protective shield for its conservation. Similarly, riversport enthusiasts protect rivers by the sheer fact that they need them to thrive in order to protect their passions and their source of income. Whitewater rafting and kayaking, canoeing, swimming, and fishing require that rivers be clean and unpolluted. When pollution threatens a river, it threatens the very livelihood of those outdoors companies, and they in turn are motivated to help protect the waterway. They also strive to improve a river’s accessibility, which in turn creates affection for the river from the public. This way, in the event of an environmental threat, there is a higher chance of public outcry to aid in the protection effort. So when you think of whitewater rafting and river sports, think conservation — the two are closely linked. Wild and Scenic Rivers like the Chattooga are the true gems of our country’s waterways. They make excellent destinations for anyone looking to introduce a dash of fun into their lives — and whitewater rafting on Wild and Scenic Rivers is an especially good activity for groups of all kinds. Youth groups, corporate groups, family reunions, church groups, and more can enjoy the exhilarating feeling of riding a raft downstream, as well as having to work together to keep it on course. The unique teamwork nature of whitewater rafting makes it an enriching experience for any groups looking to foster a bit of team-building. Whitewater rafting on Wild and Scenic Rivers is also an important way to reestablish the importance of nature in our lives, allowing us the chance to reconnect with it amidst the hustle and bustle of modern life. And remember that every time you go whitewater rafting, you are lending a vote of support to the conservation of one of our planet’s greatest resources: its rivers.